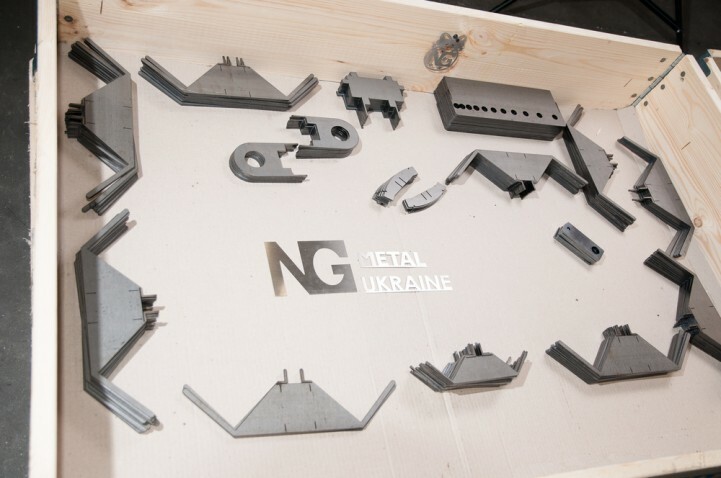 One of the priority directions of NG Metal activity on the Ukrainian market is provision of services on metal cutting with laser. 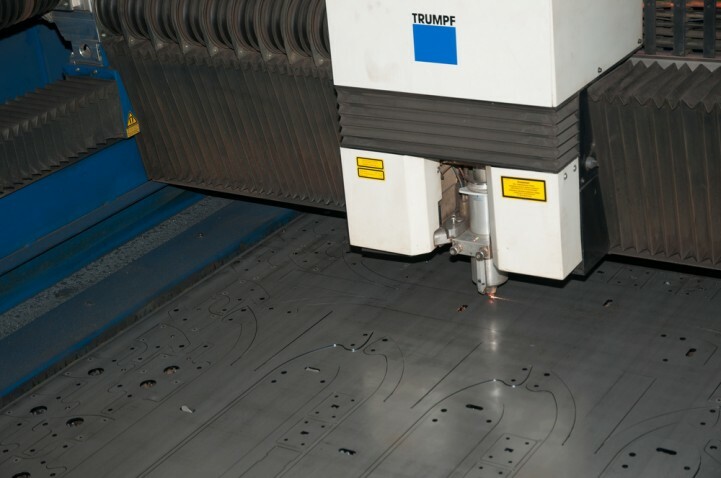 We use one of the most powerful and most up-to-date laser machines that allows us cutting stainless steel with thickness up to 15 mm, aluminum – up to 8 mm and black metal up to 20 mm. Due to maximum productive capacity and high quality features, the equipment of our metalworking complex perfectly suits for both processing of individual orders and big batches of products. Along with the automation of production, an important element for us still remains the professional approach and careful attitude of the employees to the laser cutting results. Optional part configuration – the geometric form of parts and part contour complexity level, designed for cutting by laser, are actually restricted only by imagination of designer or design engineer. The technology of metal laser cutting allows making in the material openings of very small size, with diameter from 1 mm. Quality cutting surface, no residual deformation on the part – process computerization and lack of mechanical influence allows avoiding residual deformation of cutting contours, as well as minimizing temporary deformations, as during the laser cutting there are no immediate contact with the metal surface. Moreover, owing to laser temperature features the part edge tempering that enhances its strength, takes place. 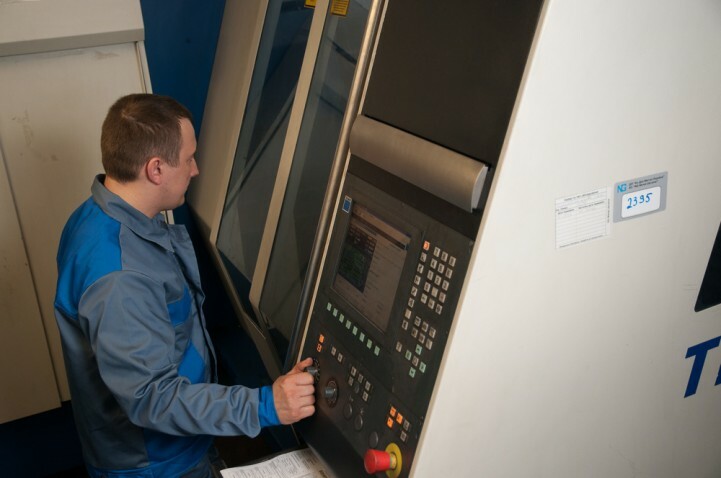 High precision of laser cutting equipment – there is no need in further mechanical bringing of the part to the set dimensions, as precision of laser cutting is 0.1 mm. 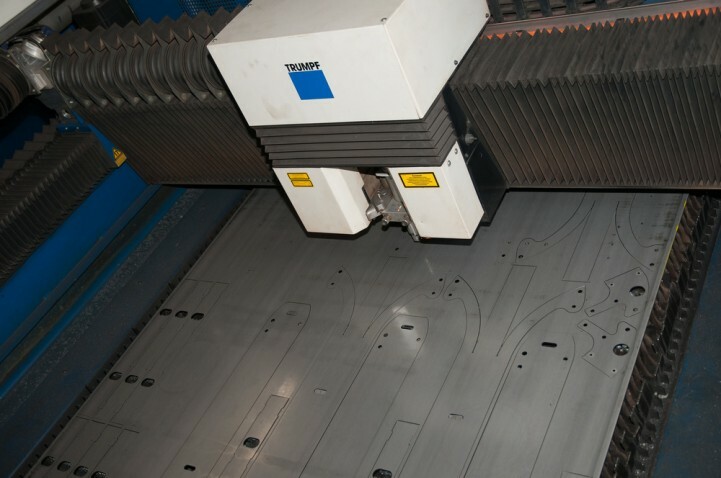 Low material waste – laser metal cutting is performed subject to the ready schemes and drawings that makes the process almost wasteless due to minimization of trimmings and remains. 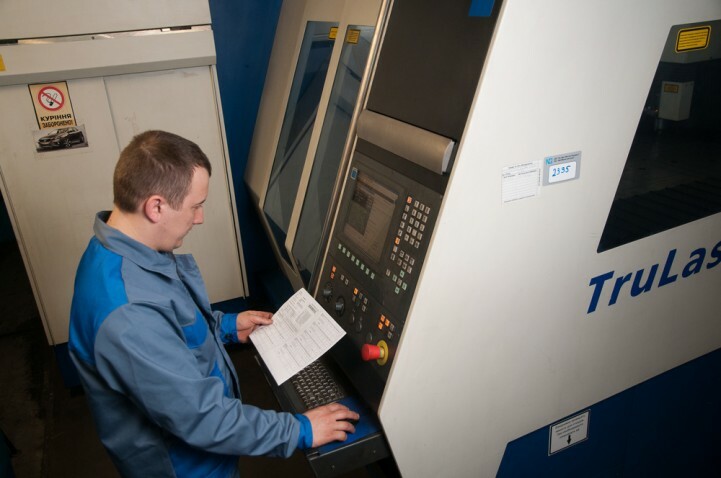 Laser metal cutting allows substantial economy with small product batches as it is more practical and reasonable to perform laser metal tailoring than to additionally purchase quite expensive casting molds and dies, or matrices, especially for small-batch production. 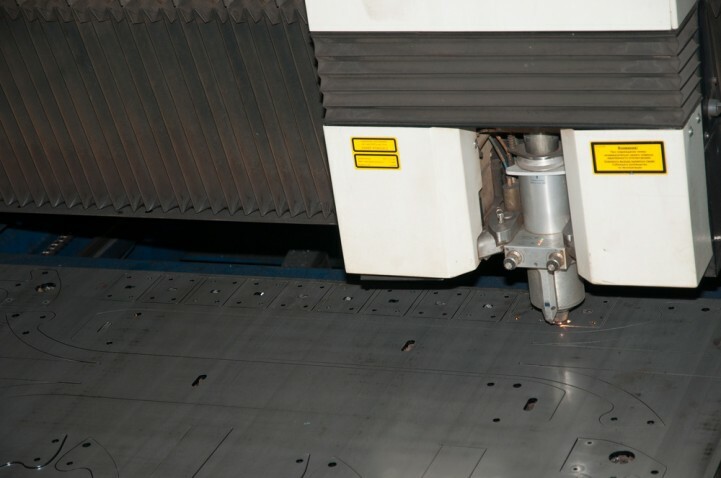 Speed and automation of laser cutting process – automated metal cutting differs from other ways with its speed that is a substantial advantage, especially for performance of large-scale industrial orders. Substantial reduction of human factor part due to production automation allows greatly optimizing expenses and simultaneously increasing precision of laser tailoring and final quality of products. Laser cutting of various metals – Laser cutting does not deform thin plate metal and is safe for materials with mirror and glazed surface. Laser ray gives opportunity for easy performance of additional constructional elements and part marking that simplifies further construction bending, folding and welding. It is also possible to perform technological laser engraving of the part. Plate dimensions — 3000х1500 mm. Positioning precision — to 0.05 mm. Cutting width — from 0.3 to 0.65 mm. Cutting speed — to 10 m/min. For your convenience we offer cost estimate of laser cutting, based on length of contours of part to be cut. If you know summary perimeter of part contour (these data can be easily withdrawn from most designer engineering graphic programs) and material length, you can assess the cost of making your parts by yourself. You can get preliminary cost with calculator of pipe and plate metal cutting. We undertake all the responsibility for the obtained result of the order performance and that is why high level of professionalism and careful attention are key principles in the engineers work. Quality of the performed details depends on metal it will be made of. We will always manage to select for you a high-quality material with necessary features at our warehouse. The received products go through initial multistage quality control. The complex of these events allows us taking leader positions in the metalworking industry in Ukraine and abroad. If you still have any questions or need to specify – we will be happy to provide you all the necessary information in a way, convenient to you. In which form it is better to send request for laser cutting estimate? Please, indicate: whose metal (yours or ours), form of payment, desired terms in case of urgency, number of parts, whether you need delivery and where. Of course, indicate contact phone number and responsible person. For our manager to estimate your request quickly and qualitatively, please: 1) Send us part drawing in DXF, only part cutting contour. 2) The part contour should not be performed in spline or polylines !!! 3) All contours of part cutting must be closed. 4) File should not contain anything but for cutting contour (all the marks, axial, additional, frames, bevels etc. should be taken away). 5) It is very important to have scale 1 : 1. 6) In the file name please indicate the following data: Part name – metal type – metal thickness in millimeters – number in pieces. With a laser machine we can make openings, diameter of which is less than the material thickness. 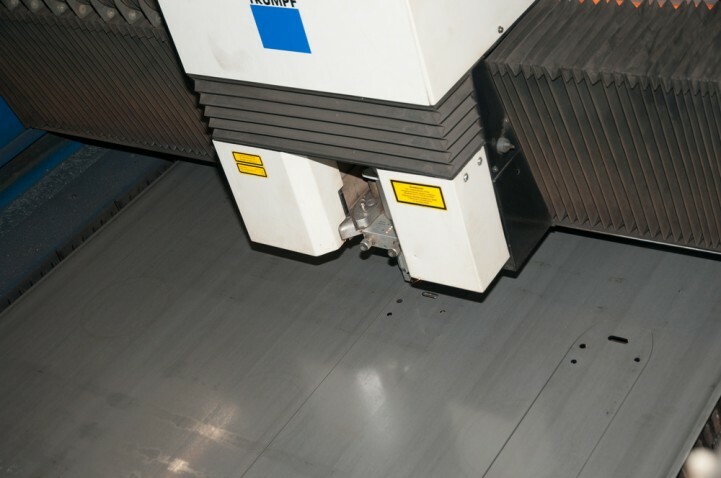 The width of cutting of any metal grade (with thickness from 0.5 to 20mm) on a laser machine is 0,3 - 0,65 mm. Do you perform laser cutting of wood, plastic and other materials? No. We work in making products from metal and perform laser cutting of metal only. Do you provide discounts for the volume? 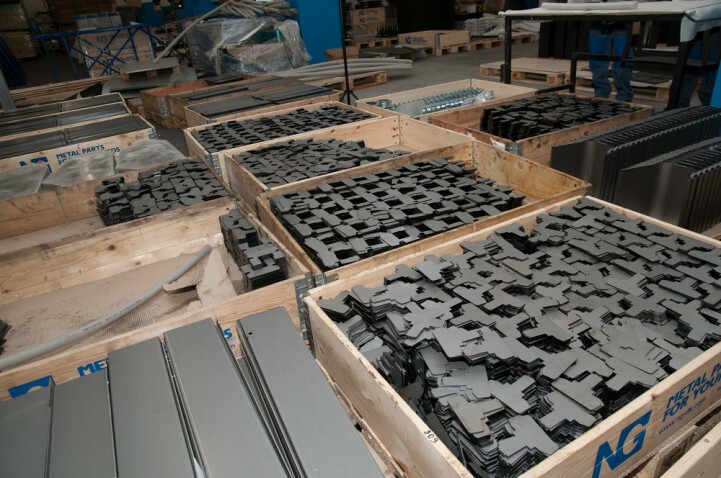 Yes, we take into account the total volume of the order, depending on which, we reduce price per 1 m of cutting.